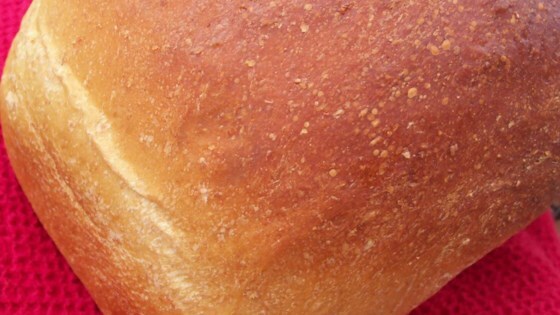 "This is my very favorite bread machine recipe. I love egg salad made on this!" this was great! I only used whole wheat flour and put the bread on my whole wheat settings and it turned out perfectly. I absolutely love this bread!! It is sweet with a great even loaf. It bakes up beautifully in my bread maker. I too loved it with a dilly egg salad. It toasts great as well. My new favorite! I made it with 100% whole wheat flour but added some gluten and a little extra molasses. Turned out great! Tried it with egg salad. It was delicious. Fantastically yummy! I will definitely use more molasses next time because my husband adores molasses, but this was just great. Thank you for a wonderful bread recipe.